It’s hard to say why it took a decade to collect, digitally restore, expand and reissue George Harrison’s first six albums recorded during the titular time period. 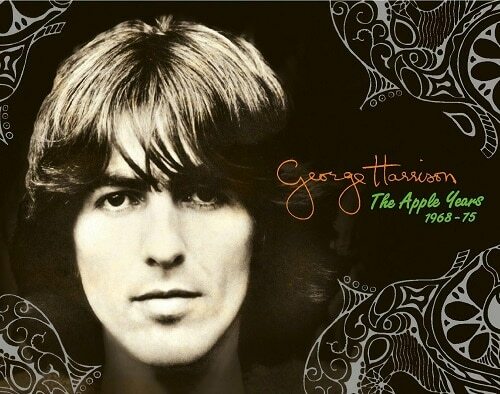 The ex-Beatles lead guitarist already had his later music boxed up with 2004’s The Dark Horse Years but perhaps the reissue of Lennon’s entire solo catalog and the ongoing McCartney series that has been dribbling out convinced the Harrison family it was about time to do right by George. While both his 1970 magnum opus, the multi-disc All Things Must Pass and its follow-up, 1973’s Living in the Material World have already been reissued for the digital age, the other four were available only as expensive imports, so this long delayed appearance should thrill collectors. And really, who else was salivating to sit through nearly an hour of predominantly instrumental South Indian music mixed with other inconsequential ditties which is the 1968 soundtrack to the obscure film Wonderwall, even if it does have the distinction of being the first solo release by a Beatle? Or the two extended, mostly improvised electronic pieces that make up the entirety of 1969’s experimental Electronic Sound? Both are little more than curiosities that would have been lost to the sands of time were they not the work of a Beatle. Still, for completists, it’s good to have them back in print, and the buffed up audio along with extensive, fascinating and detailed essays in the colorful books that adorn all of these discs help unravel Harrison’s impetus in creating this non pop music. Bu then came 1970. Little more can be said about the classic All Things Must Pass, the undisputed high point of Harrison’s solo catalog. The new remastering isn’t a substantial improvement over 2001’s deluxe version that finally cleared up some of Phil Spector’s muddy excess, but this five star album overflows with exquisite songs, complex, gorgeously rendered performances and melodies Harrison had been stockpiling for years as second banana to the Lennon/McCartney throne. It remains one of the finest solo releases from any of the Fab Four. After that, it was diminishing returns with three subsequent releases (1973’s Living in the Material World, Dark Horse from 1974 and the following year’s Extra Texture [Read All About It]) that ran out the Apple years until bad management finally rotted it to the core. Each had a few gems though and even at his worst, Harrison was worth hearing for his plaintive vocals, intriguing guitar work and a genuinely unique spiritual and philosophical world view. The remastered sound on these is excellent, even if the material is spotty. The Let It Roll set from 2009 collected some of these hidden gems but tried to squeeze Harrison’s entire career into 19 tracks which left plenty of worthwhile music on the table. The discs are available separately, but if you spring for the full monty box you get a handsome, classy hardbound 48 page book stuffed with rare photos and an extensive essay, all printed on glossy, heavy stock. The sturdy and intricately appointed case also includes a short DVD with rare videos and short films (oddly, one is about the making of the Concert for Bangladesh which is not included here) although you probably won’t play it more than once. Regardless of the eclectic nature of these albums and their often subpar material, George Harrison deserves the elaborate treatment he gets here which makes this a worthwhile addition to any Beatle lovers’ bulging collection, even if they may not play much of it all that often.